This safari offers the best highlights of Tanzania’s Northern Circuit. 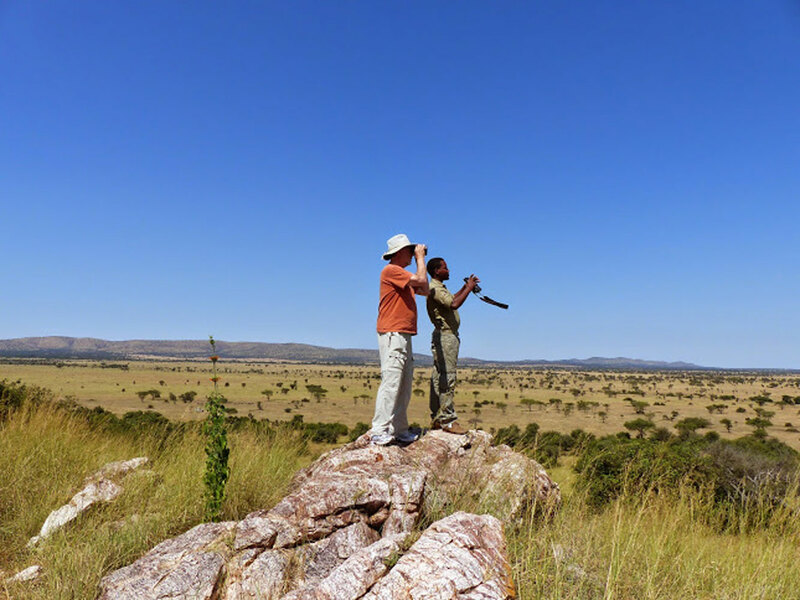 Your safari exploration begins in the woodland savanna of Tarangire where the wildlife density is exceptionally high especially during dry season. 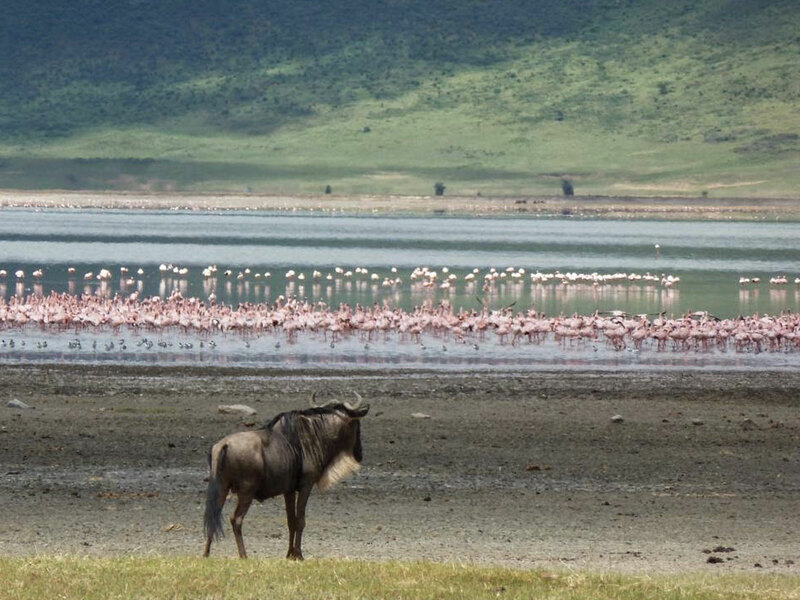 Make your way through Lake Manyara and be stunned by the breathtaking landscapes of Ngorongoro Crater, one of the natural wonders of the world. Venture deep into the Serengeti’s endless plains from Seronera Valley to Northern Serengeti, by the Mara River where the endless annual rhythm of the Great Migration resonates through a migrating herd of 1.5 million wildebeest, zebra, Thomson’s gazelle and best known population of great predators, lions, spotted hyenas, leopards. Karibu, Welcome to Tanzania! Upon arrival at Kilimanjaro Airport, our VIP Visa Specialist will meet and welcome you to East Africa. He guide you through the entire Tanzania Visa application process as well as skipping long queues. With Safari Infinity, you will be escorted from arrival to departure, making your arrival to Tanzania completely worry-free. Upon exiting the airport, a Safari Infinity representative will be holding a poster with your name who will transfer you to Arusha. In the morning you will be collected in Arusha and travel overland to Tarangire National Park, a savanna woodlands dotted with monumental ancient baobabs alongside the most magnificent herds of African elephants found in Northern Tanzania. 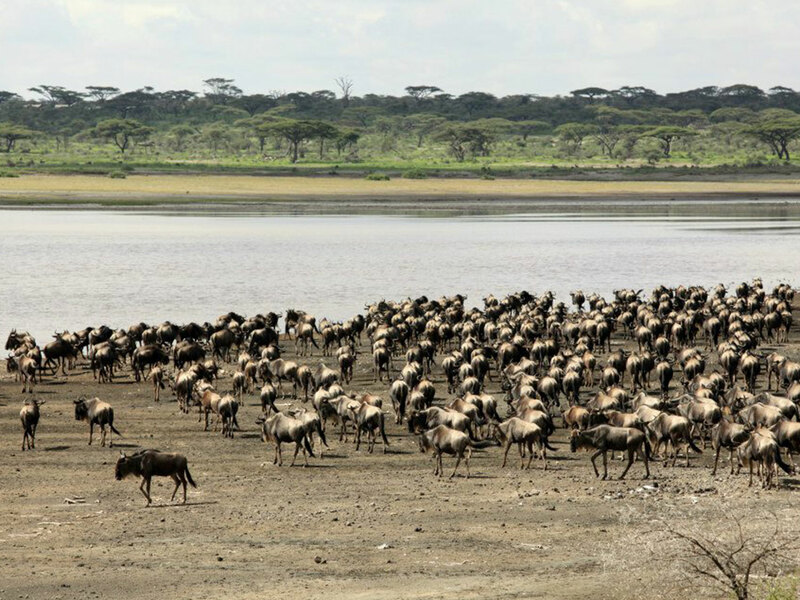 Tarangire River provides water all the year round, making Tarangire NP a critical refuge during dry season for migratory ungulates, resulting in sheer densities of wildlife. At its peak, the density of mammals in Tarangire NP is higher than anywhere else in Tanzania, or almost anywhere on the whole continent of Africa. You can expect to see big herds of elephants and mighty predators such as lions. Other common mammals of Tarangire are aardvark, ground pangolin, crested porcupine, African hedgehog, olive baboon and vervet monkey. Some rarities include the beisa oryx, generuk and lesser kudu are present. After breakfast, make your way towards Lake Manyara National Park, stopping on-route at Mto wa Mbu, a culturally vibrant town for a market visit. Afterwards, take a leisurely stroll through Gibb’s Farm gardens and coffee farm, enjoy the view of surrounding serene highlands and savor a hot lunch served at Gibb’s Farm where nearly every ingredient is fresh from their organic farm. After, travel to the nearby Lake Manyara National Park, a lush green ecosystem composed of grassy floodplain, rocky ridge and acacia forest. 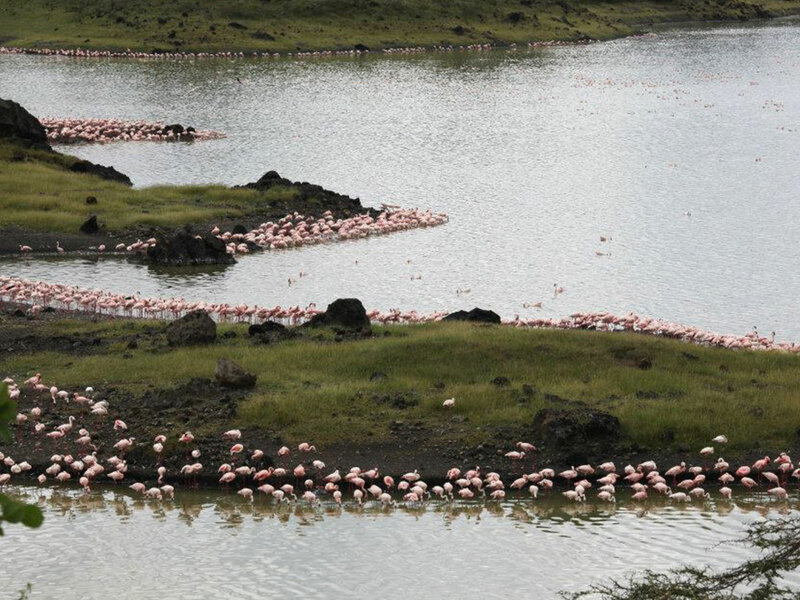 Manyara guarantees a diverse bird life with over 500 bird species have been recorded, in particular with regard to the extraordinary flocks of lesser flamingos, storks, herons and pelicans inhabiting the lake area. 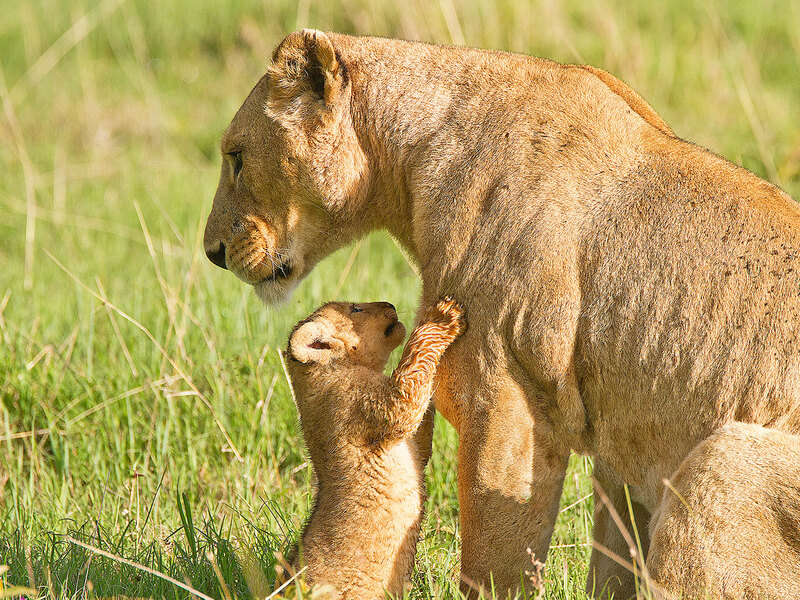 Afterwards, travel to Ngorongoro in preparation for your descent the following morning. Wake up early and be one of the first vehicle descending into one of the natural wonders of the world, Ngorongoro Crater. While only a minor remnant of a once mighty mountain, it is still the largest unbroken caldera in the world with a diameter of 16 – 19 km. Almost all species essential to East Africa are present except for the impala, topi and giraffes. Its highlights include one of Tanzania’s most sustainable populations of the critically endangered black or browse rhino. 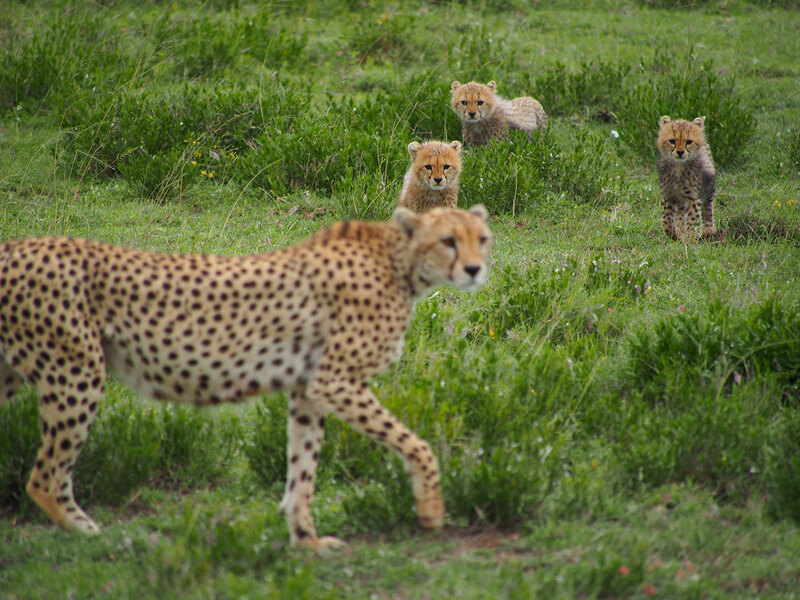 The Ngorongoro Crater has one of the highest density of predators in Africa such as lions, spotted hyena and leopards. By-midafternoon, travel to Central Serengeti, where your next adventure awaits. Serengeti is the only remaining natural grazing ecosystem to be found in the world. With a network of river valleys supplying a stable source of water, the Seronera Valley home to the world’s largest and diverse wildlife population of predators in the world. 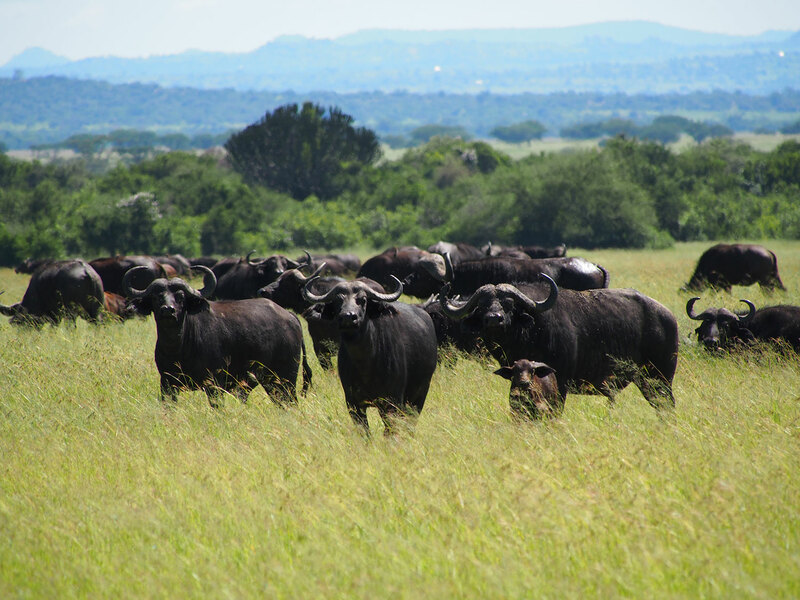 Excellent encounters are available year round regardless of the season or the location of the great migration. There is simply no better place to observe large carnivores (lion, hyena, cheetah and leopard) in action in the wild along with a diversity of smaller predators (three species of jackals; blacked-back jackal, golden jackal and the more secretive side-striped jackal, bat-eared fox, serval and sandy-coloured caracal. 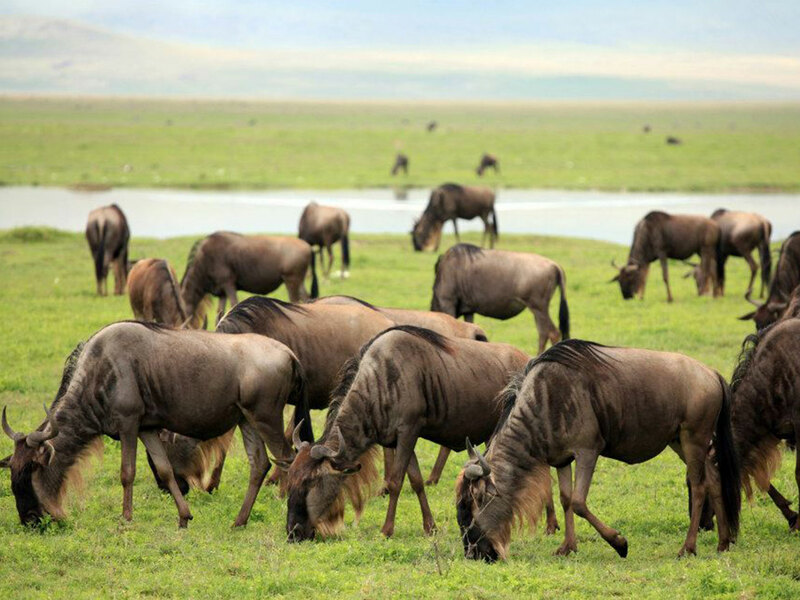 Travel to Northern Serengeti by the Mara River where the grass is nutrient-rich and capable of offering the migratory herds a proper supply of food and water. This is the time and place to witness the famous Mara River crossings. See giant Nile crocodiles basking in the sun, waiting patiently in the water for the big migration to enter the area. You will have opportunities to catch thrilling game action or perhaps even witness a river crossing, as the wildebeests and zebras endeavor one of the most difficult part of their migration journey and cross over to Masai Mara. This is your last morning in the Serengeti. Enjoy a leisurely breakfast or perhaps head out early for a short early morning game drive before traveling to Kogatende Airstrip to catch your scheduled flight back to Arusha. Upon pick-up, make an optional stop a local shop with an abundance of wood carvings, artifacts, paintings and crafts. Afterwards, rest at a day room and enjoy a farewell lunch in Arusha before leaving for your departure at Kilimanjaro Airport.